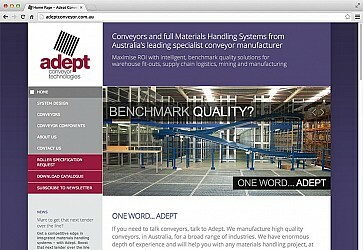 Adept Conveyor is a leading manufacturer & installation specialist of industrial conveyor systems across Australia. Net Grow performed market research, followed by a re-brand, logo design, custom CMS & online newsletter integration. 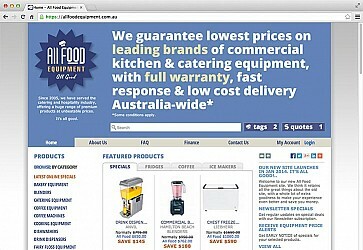 All Food Equipment is Australia's largest online distributor of commercial food & catering equipment. Net Grow's marketing work included a re-brand, logo design and a complete new version of the All Food custom quoting, ordering & invoicing system. A construction company handling handling maintenance contracts consisting of 1000s of properties across NSW had Net Grow plan and build an extensive secure work system. 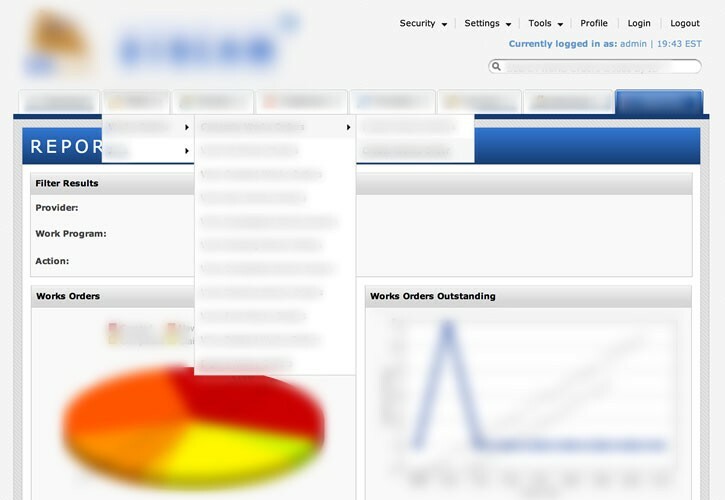 We built them a completely tailor made extranet application. On The Edge is the leader in residential, strata & commercial soft wash cleaning across the West Coast of Canada. Net Grow assisted with website design, SEO, marketing, signage & print media to great success & business growth. 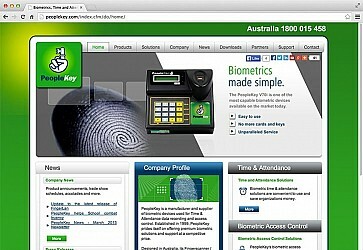 PeopleKey is a top developer of biometric systems & finger print recognition hardware/software across Australia and Internationally. 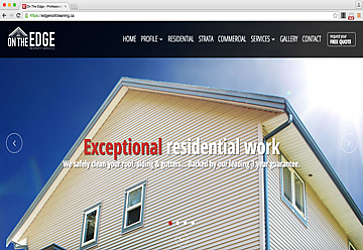 The rebuild included a custom CMS backend, file management, online newsletter integration & advanced Adobe Flash programming. A top law firm specialising in debt recovery came to Net Grow unable to process documents direct with the Government using their legacy system. We built a multi-user, distributed, desktop app to supplement their current system which seamlessly integrates with the JusticeLink API. Over the last 15 years we have serviced 100s of clients around Australia. Below is small collection of some of the work we have done. 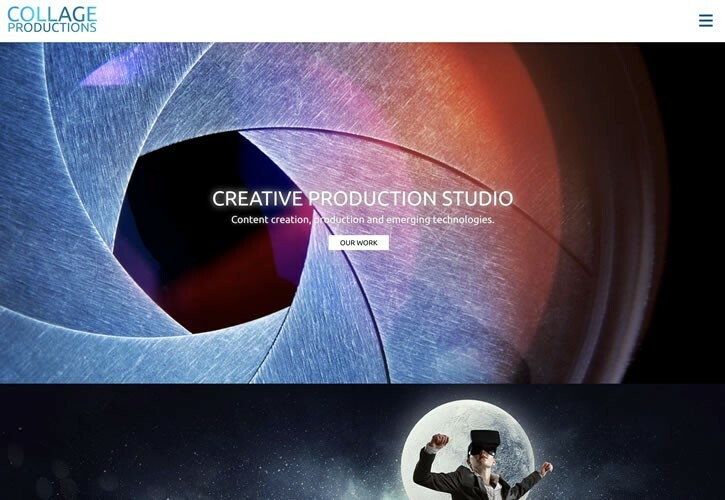 Below are some of the huge array of projects our digital agency has worked on. Want to know more? Call us on 1300 855 815 or enquire online now. 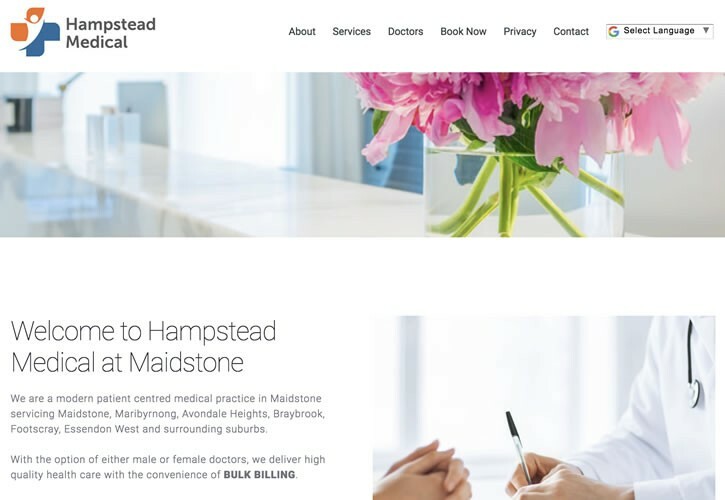 A new website for a new medical practice. Website and creation of flyers etc. 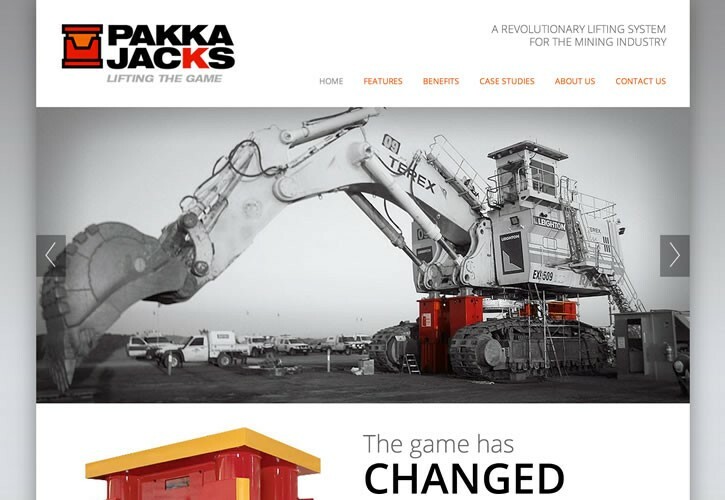 PakkaJacks engineered a leading, proprietary hydraulic lifting system, heavily relied upon in the mining sector. As part of the launch of this revolutionary new machinery they came to Net Grow to get a rugged design which professionally promoted them to potenial buyers. We provided PakkaJacks a logo design & full marketing treatment, followed by a database driven content management website. The marketing work was followed up with business ads & a company brochure we designed. 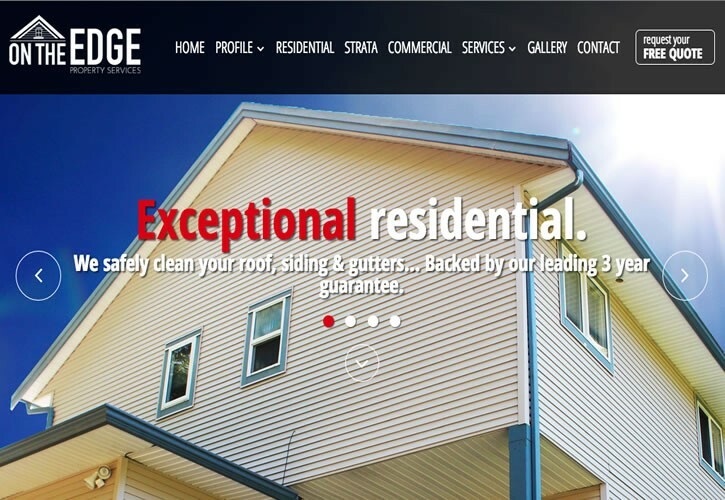 On The Edge is a professional Canadian property management company, specialising in strata, commercial & luxury residential roof/siding cleaning. The design included not only a new responsive website, but new logo, large signage, brochures, logos & other print materials. The extensive SEO provided as well as assistance with branding & marketing has cemented them as the premiere agency on the Canadian West Coast. 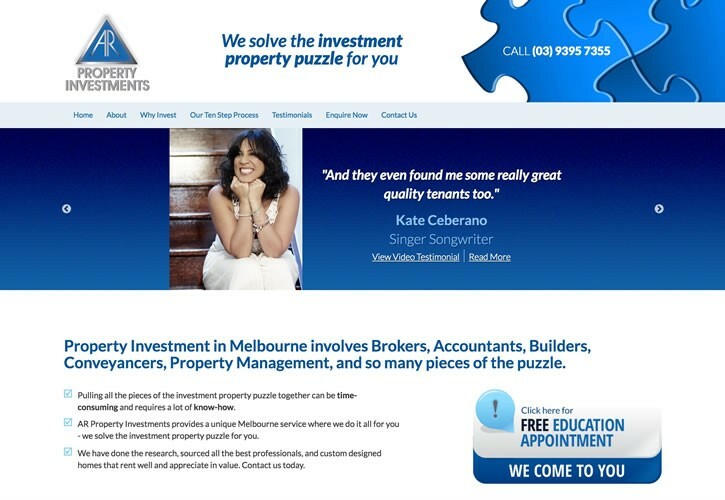 AR Property Investments solve the puzzle of property investment for their clients. Net Grow built a new responsive website designed to convert website visitors into website or phone enquiries. 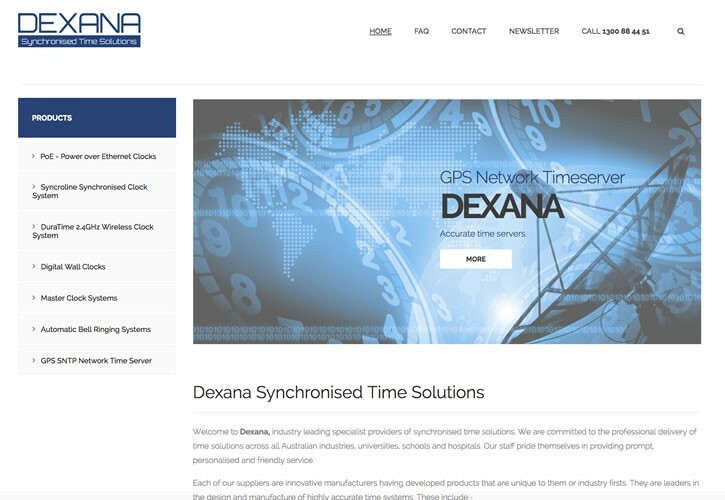 We upgraded the branding and website for Dexana. Including a responsive design, and custom content management system for very easy updating. 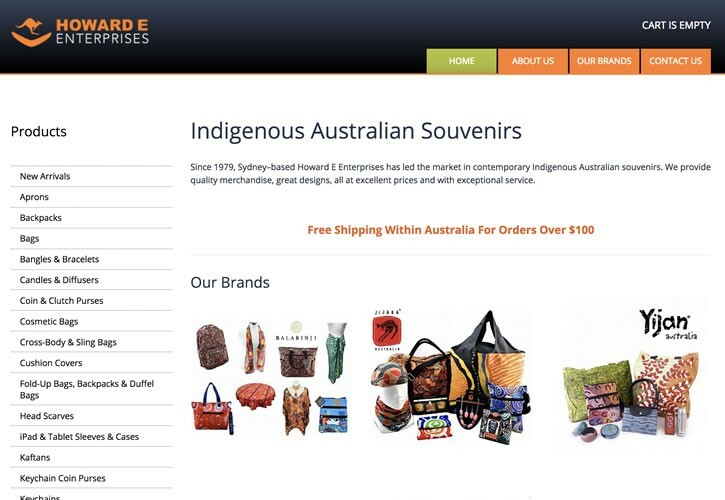 Howard Enterprises is a leading provider of contemporary Indigenous Australian souvenirs. The website was updated from a prior version to very easily allow content to be entered into the online catalague and online purchase to both public and retail accounts. 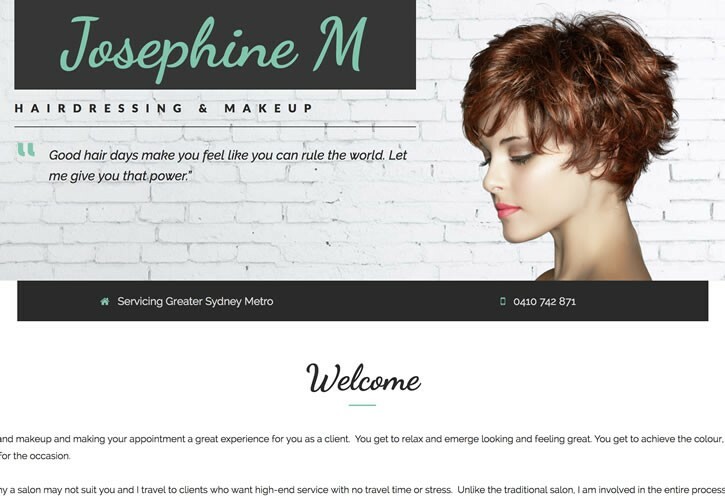 JosephineM is a top drawer personal hair & make up service operating in Sydney's Eastern Suburbs & North Shore. 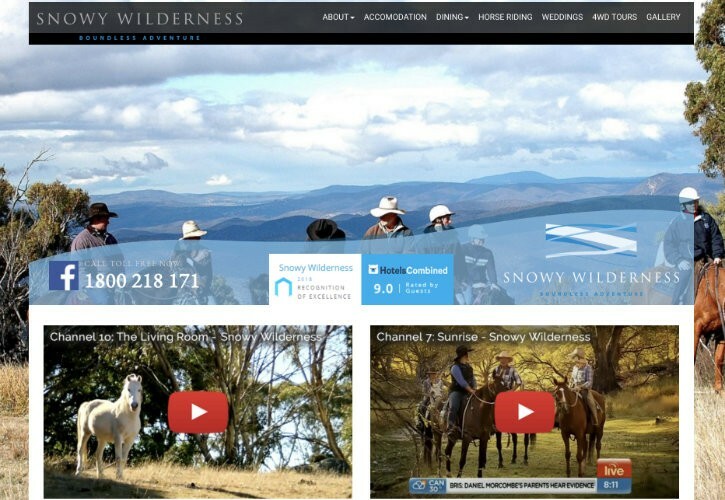 A content management website promoting the Snowy Wilderness hotel retreat in country NSW Australia, as featured on Channel 7 & 10 TV. Website administrators can manage experiences, activities, the Snowy menu & interactive image galleries. Whilst each of the accommodations choices are tied in to their online booking system. We designed this website and logo for a digital design agency and production agency. The core emphasis was on the visual aesthetics of the design. Also produced where business cards and stickers. 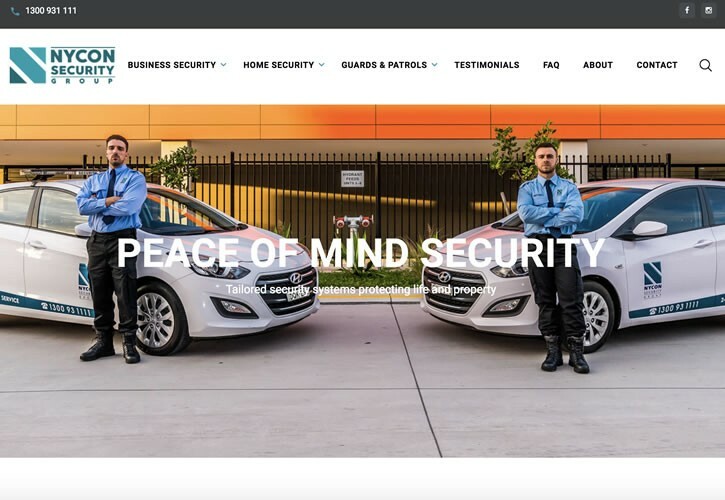 A fast modern responsive design to better promote the services and products of this Sydney based security service provider. 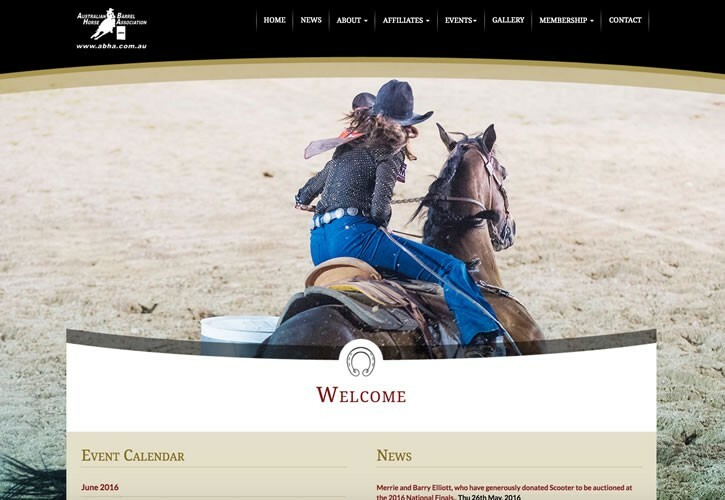 Net Grow has built a new responsive design for the Australian Barrel Horse Association. It includes content management for the entry of events, news, page content and the ability to provide online results to the members. We also programmed the ability for members to pay for their membership renewals online, and for members to pay online for membership and national events. 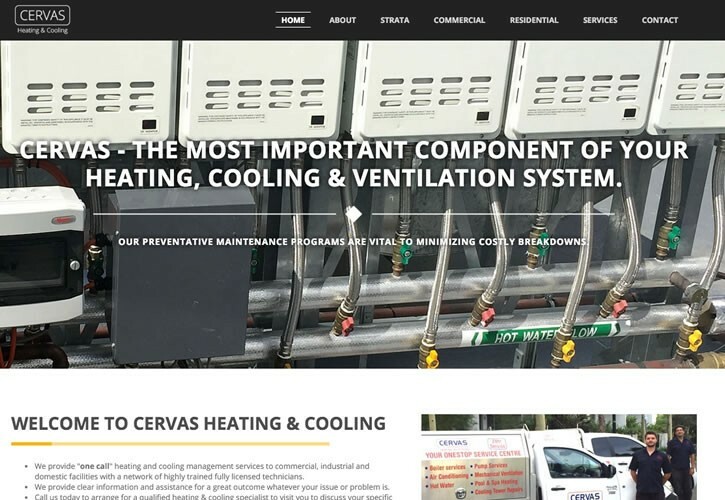 Net Grow has created a clean responsive website design, to improve the brand presence and online perception of this heating and cooling service company. 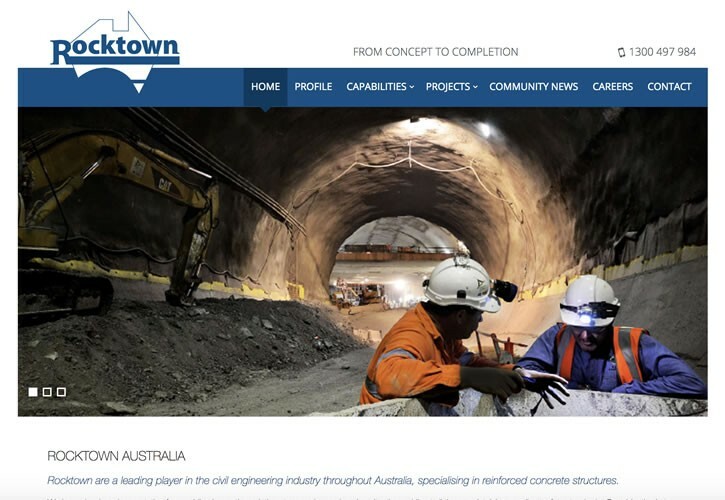 Net Grow provided Rocktown (a leading player in the civil engineering industry throughout Australia) with a responsive content management website. Net Grow built Sensa a database driven ordering system featuring a distributor login for bulk ordering. 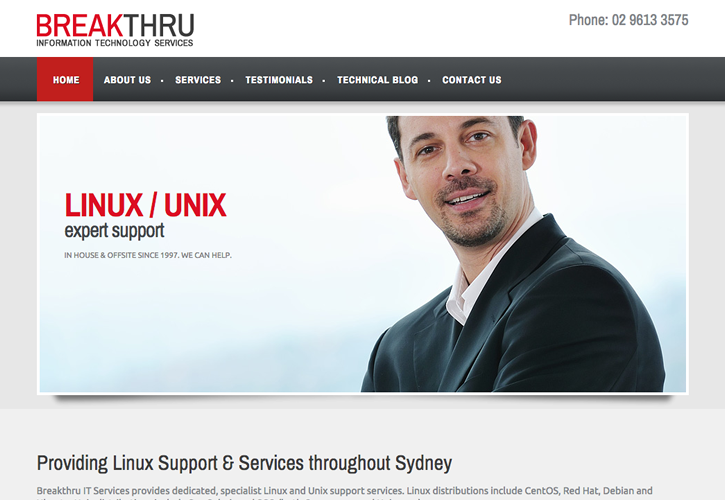 Additional to the order facilities was a full blown CMS and integrated backend for all website features. 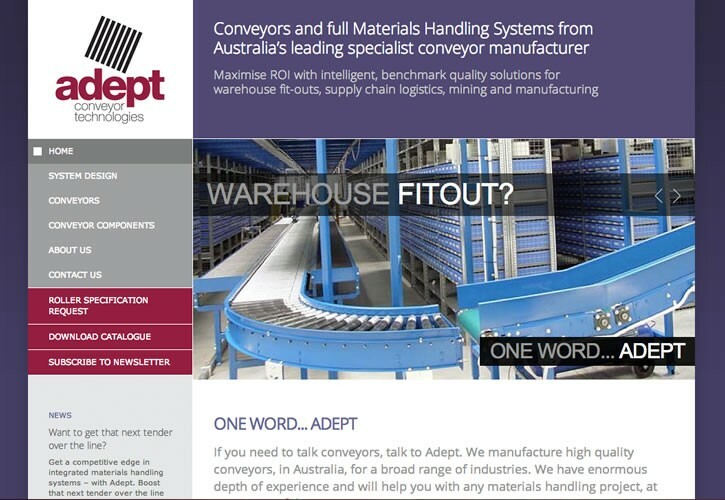 Adept Conveyor is a leading Australian conveyor system specialist. Net Grow provided Adept with a new database driven, content management website, graphic design, logo & marketing work. To further promote their company we created & populated a YouTube channel with close to 100 videos of different conveyor applications. This was supplemented with an integrated online newsletter feature & the updating of print materials in keeping with the new branding. ARTD is a leading public policy consulting firm which required a fast simple site for informing users of the services they offer. 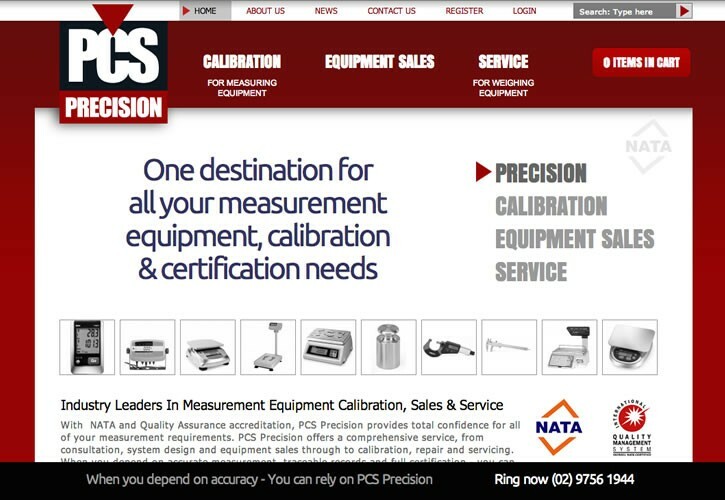 PCS Precision is a leading provider of all types of scales & calibration equipment around Australia. We provided them with an entire re-brand and marketing overhaul which included a new logo & database driven custom CMS website. Giving website visitors a means to enquire online, which is captured in their tailored backend admin section and an easy way to peruse the large selection of products has greatly their increased business bottom line. Client required a new responsive website design which worked smoothly on various device screens, whilst also upgrading the branding and professionalism of their services. 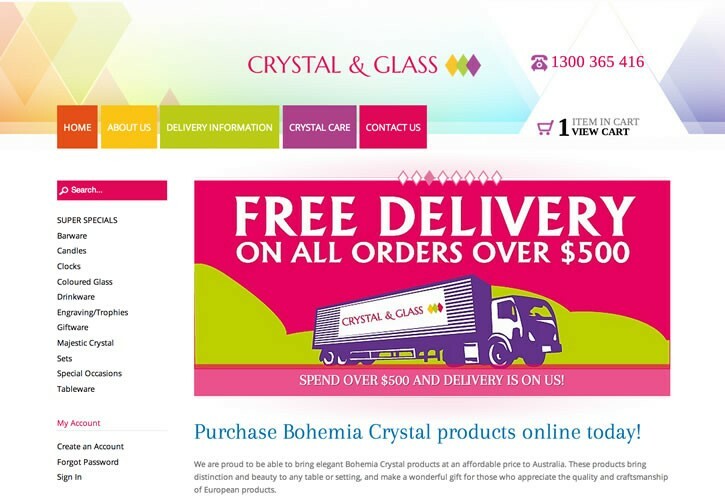 Bohemia Crystal supply finely crafted crystal & glass products using artisans from the Czech and Slovak Republics. We have delivered a comprehensive database solution, with online ordering for distributors, bulk product and pricing updates, coupons, specials, etc. The essense of the solution is ease of use, with an integrated freight costing and tracking system. 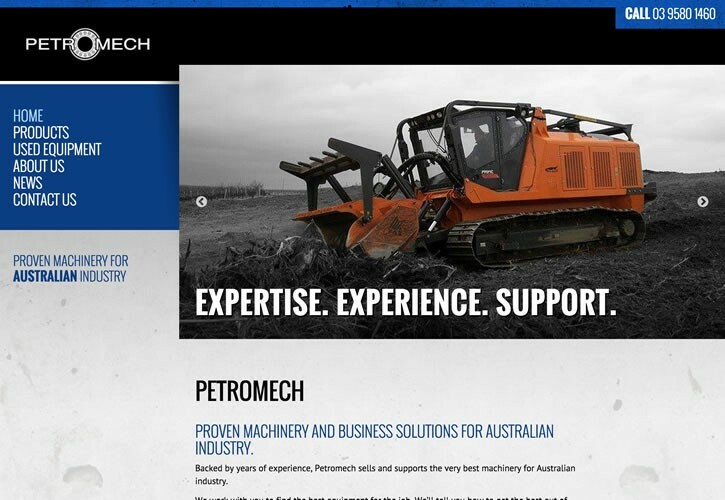 Petromech provide proven rugged machinery and solutions to Australian businesses. Net Grow upgraded the online branding and marketing of Petromech, including a content management solution and online newsletter. 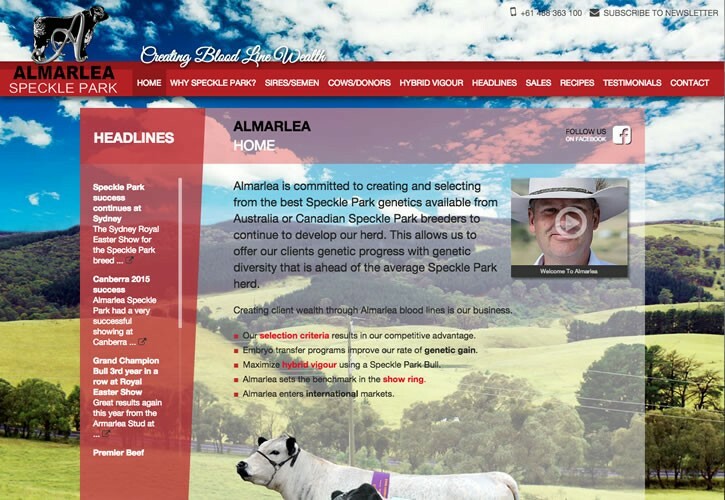 Almarlea is the top Speckle Park Cattle breeder in Austalia and required an updated site, while gaining full control over content. Net Grow updated the logo, provided graphics design, integrated a newsletter solution and delivered a database driven responsive website solution, which enables the client to stay on top of day to day changes in the constantly moving market of a high end cattle stud. Net Grow provided a complete brand solution for the newly formed German/Australian partnership MRT Australia. 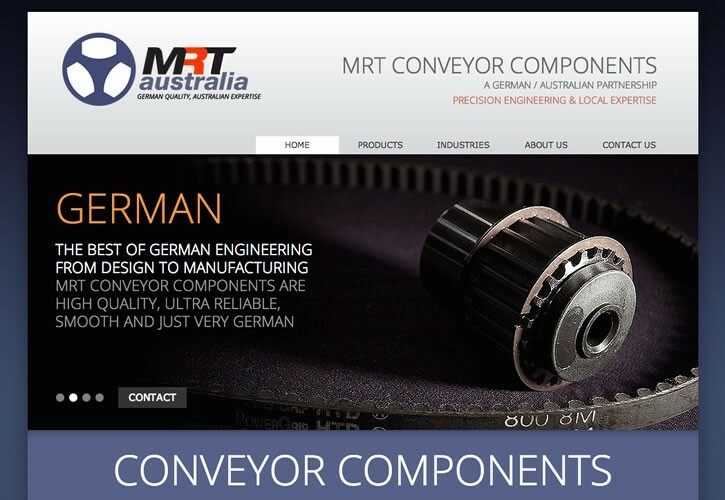 Once completed this was integrated into a custom database driven CMS with an online newsletter; professionally presenting MRT Australia as a top manufacturer of conveyor components. 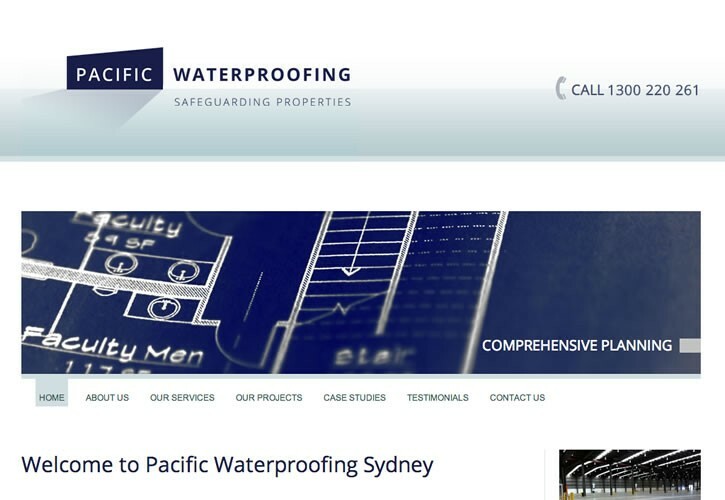 Pacific Waterproofing is a top waterproofing & roofing service business for residential or commercial properties around Sydney. Net Grow provided a design which represented their brand, based around a new logo. We integrated an online newsletter to promote to their existing client base, as well as new subscribers who choose to join via the website. 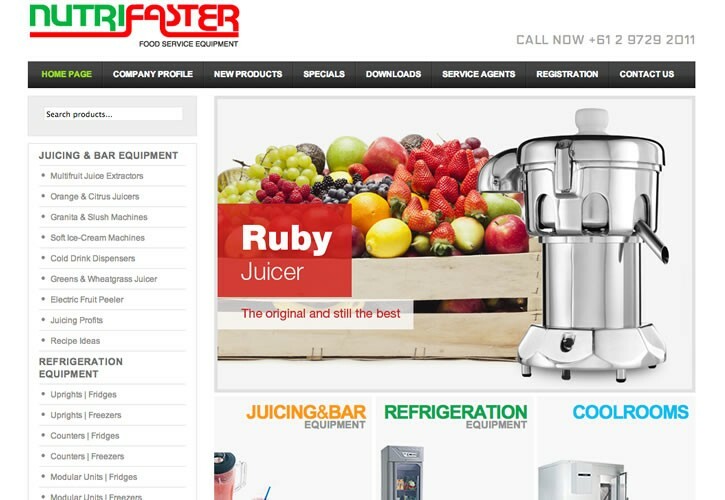 We re-designed the old Nutrifaster website and provided this National, wholesale distributor of catering equipment with a fresh, functional & simple database powered catalogue. Featuring an online newsletter, our proprietary content management and backend section, NutriFaster is now self sufficient for website activities. 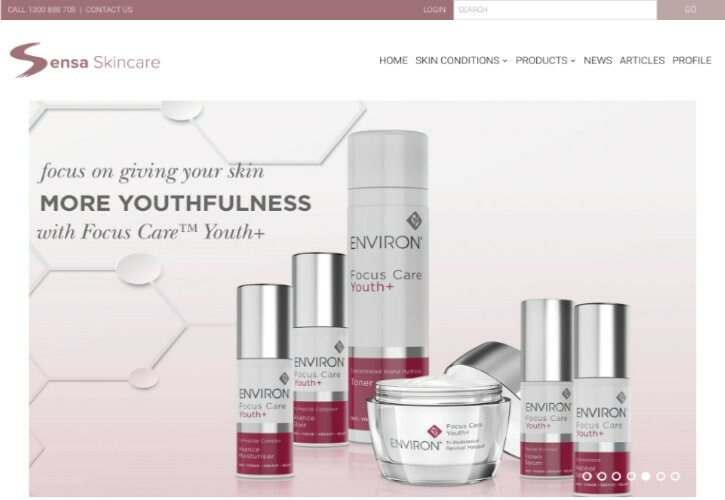 For this project we tailored a content management solution which would allow each of the exclusive Environ skincare distributors to manage a master website for the whole of Australia. 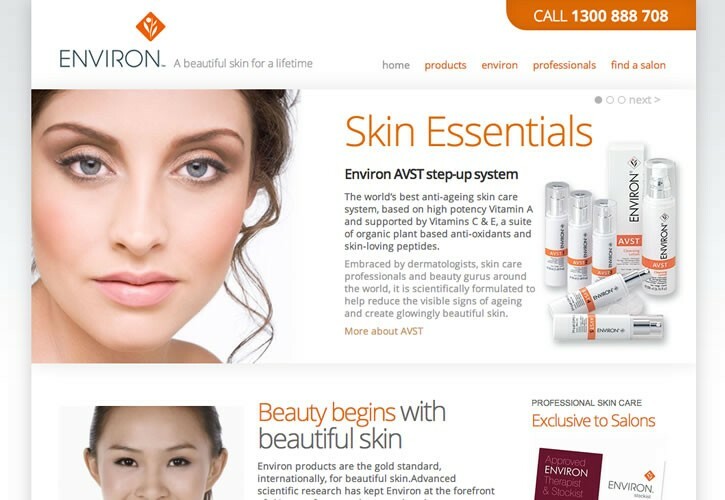 The entire catalogue of Environ products is presented beautifully online. The system is configured so that when a change is performed in the backend administration it's saved as a draft for approval by the majority of salon logins. 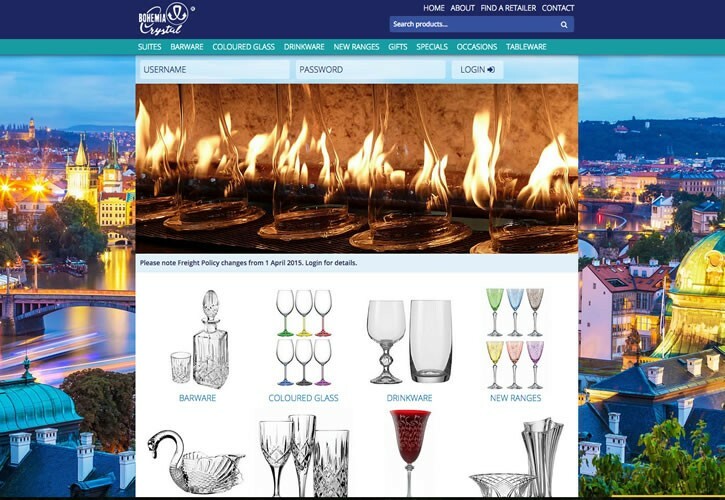 We were contacted to created a new online presence for Crystal & Glass; distributors of fine china and other glassware. They required an online store which allowed them to easily administer their large collection of products for sale. After designing a new logo, we created a bespoke store featuring freight & tax calculation, user accounts, product/category control & product discount management. 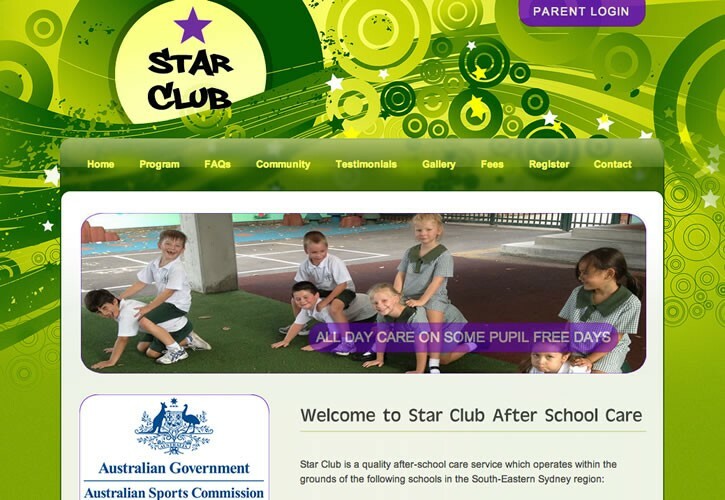 Star Club is a award winning before & after school care operating at several locations across Sydney. Net Grow created a catchy, kid friendly design to inform parents of this great place to send their children. 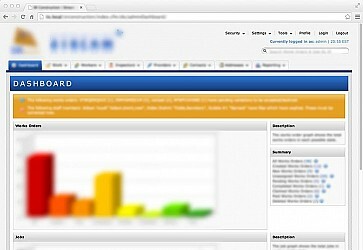 A parent login feature was employed to adhere to governmental policies on privacy of minors. 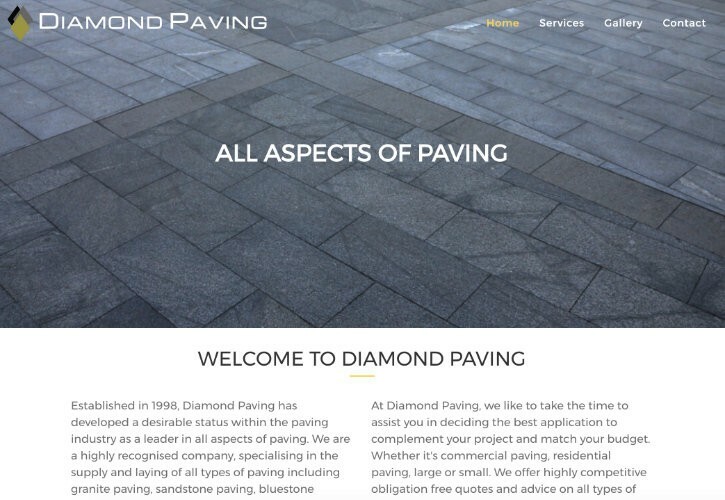 Diamond Paving needed an update to their website to better promote images of their work using a responsive mobile friendly design. 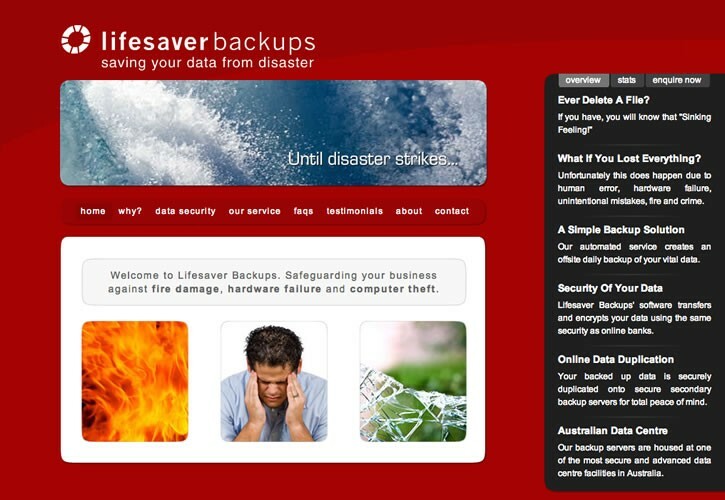 We designed this web site to increase brand exposure of the Lifesaver Backups online backup service; using Flash & AJAX technologies extensively to increase usability & user experience. Net Grow created their logo and created all required print designs for promotion, including brochures, agent sheets & business cards. Faced with a complex problem involving legacy systems and an urgent requirement to lodge all legal activities online, a prominent Sydney City law firm came to Net Grow to get an application built as a solution. After extensive system analysis involving on-site research, we planned and built a completely tailor-made, multi-user desktop application which connected to their internal systems, allowing the generation & export of a wide array of documents. Each document created adheres to the correct structure required by the Government & can then be lodged electronically via the NSW JusticeLink system. As part of a re-brand we built Davidson a new website to stylishly show off the large amount of products they provide within the hospitality sector. This website provides a means for customers to buy online and highlights the key sectors Davidson Hospitality deliver solutions to. 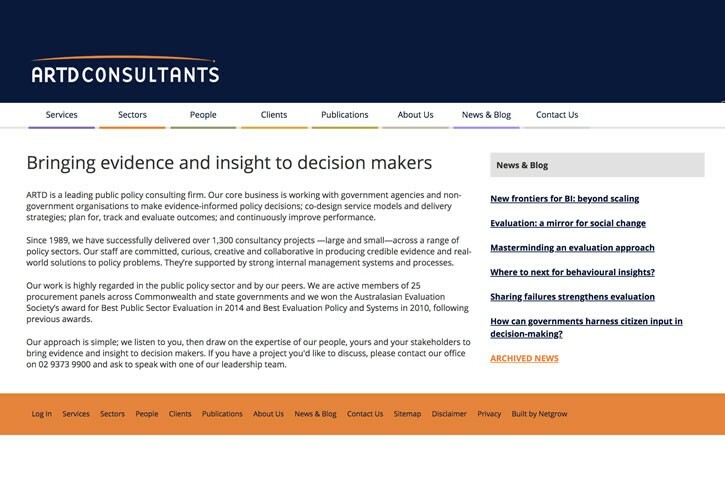 A large construction company approached Net Grow to have a custom intranet/extranet application built as one of their requirements for a multi-million government tender. Net Grow spent 3 months in the planning phase before building the application; allowing 100s of internal employees, external providers & subcontractors to manage & track work. Created to exact requirements; a project consisting of 100,000s lines of code, built with an obsessive standard for quality. 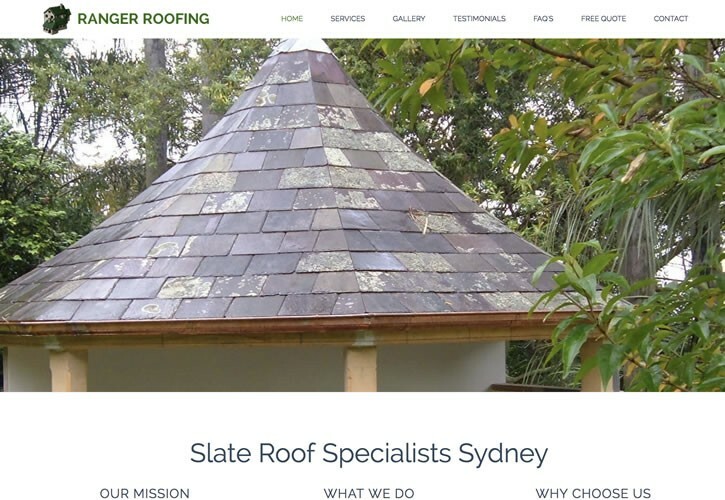 Net Grow created a simple and clean website with a big focus on SEO for Ranger Roofing; an expert in slate roof restoration & repairs across Sydney. This has assisted in driving additional qualified business to Ranger Roofing; seeking their specialist roof skills. 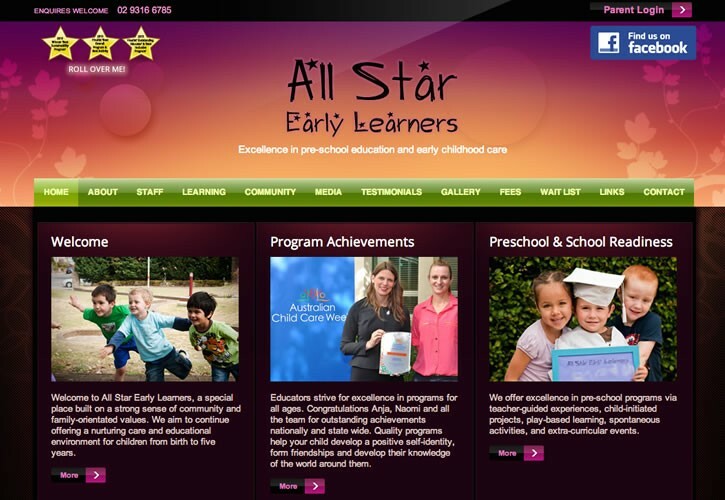 We created this fun, informative web site for All Star Learners, an award winning Sydney childcare often featured in the media. The website allow parents who's children attend the childcare to login; giving access to policies, timetables & other files which All Star can manage. 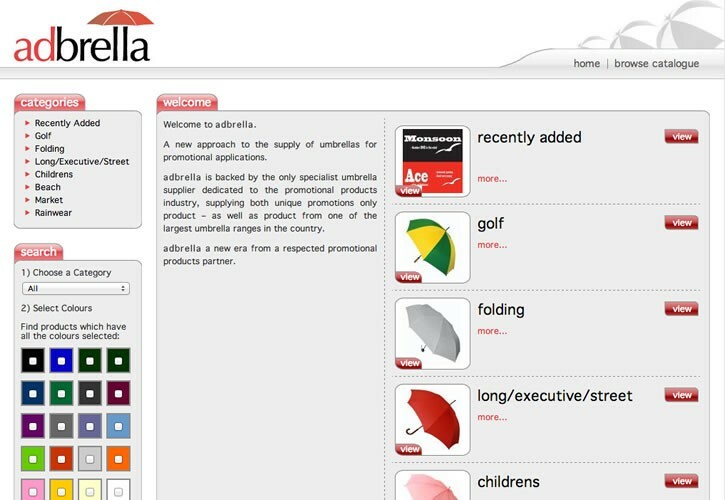 Net Grow created a simple online catalogue for this Australian retailer of umbrellas. 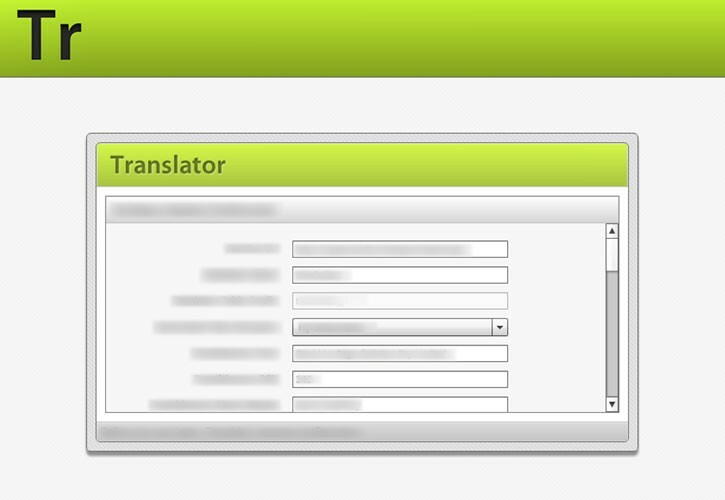 Hooking into a backend admin section allowing easy management of unlimited categories, products & images. 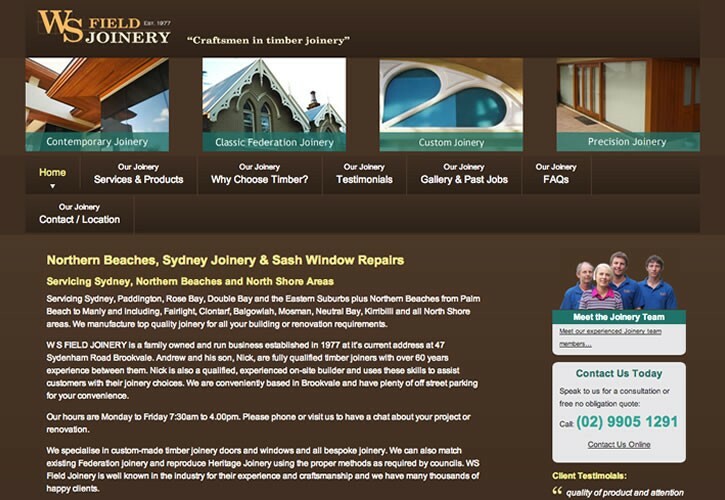 West Field Joinery provides all types of timber services to North Sydney, Australia. Net Grow provided a new site design to properly show off their skills & past jobs, with extensive search engine optimisation to assist prospective customers in finding them through Google. 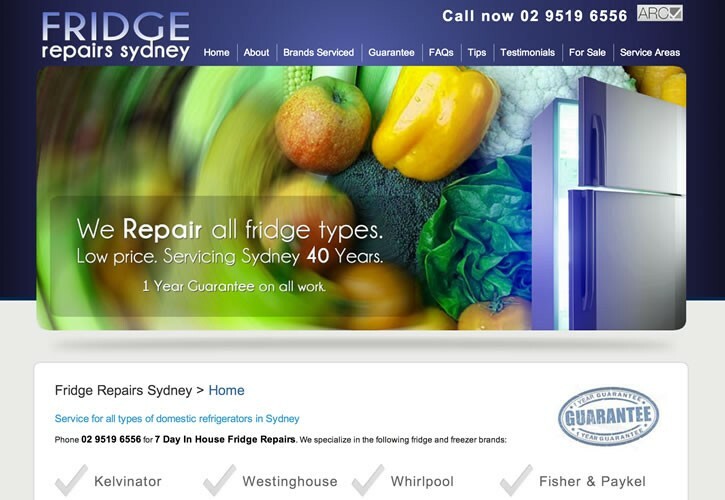 Fridge Repairs are the most sought after repairs company for all types of fridges Sydney wide. We provided a clean, professional web site to further promote Fridge Repairs, with a heavy focus on search engine placement; where the do very well and attract the majority of their business. 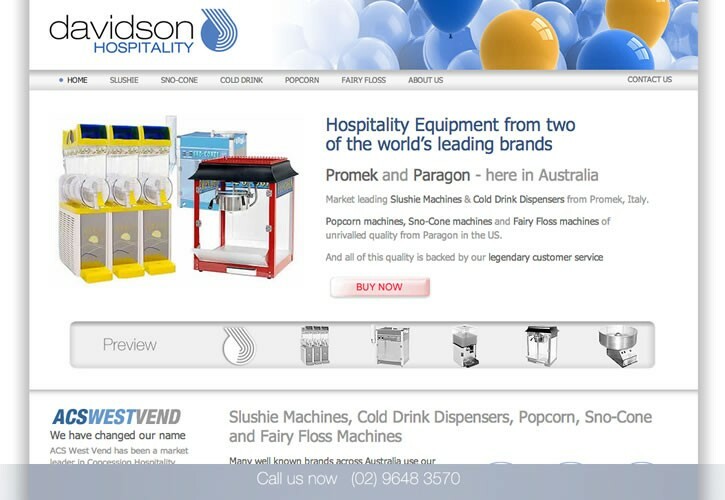 Net Grow created a new online store for Davidson to manage and sell their large range of diverse products. Designed to work in tandem with several of their other catalog & mini sites, whilst still being successful on its own. 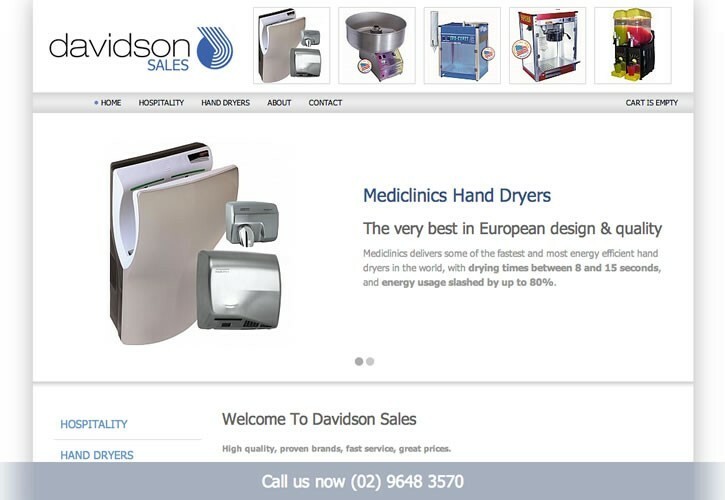 This website added to the Davidson umbrella; proving another sales option in the form of an easy to maintain CMS & e-commerce system. Located in ACT, Sigtah aimed to reduce printing costs associated with promotion while increasing service to customers. With this in mind we created a website allowing them to promote their furniture catalogue online. 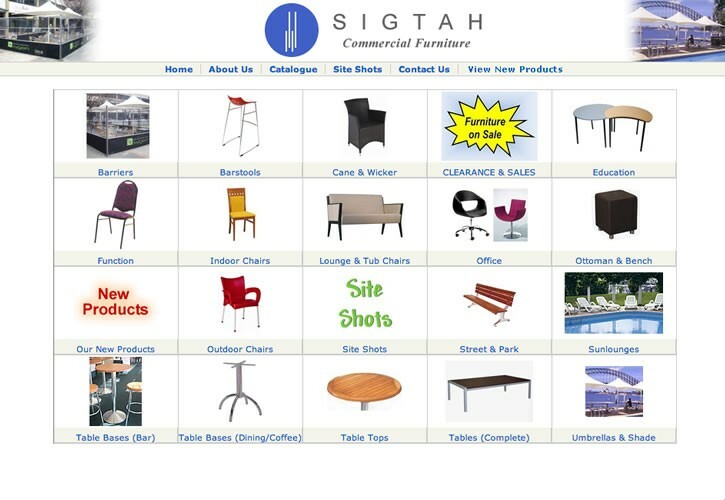 As the web site is connected to a database it allows Sigtah Commercial Furniture to search, manage & add new content through their simple to use admin section. Still not convinced we can help you? Please get in touch and let us close you on how we will. Want to keep updated? Join our mailing list.